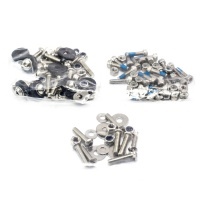 Accessores and Spares for mountain board and kite boards. 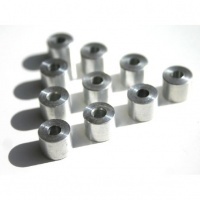 Everything to keep you riding from inner tubes, odd nuts and axle bolts to washers, trucks, new hubs and tyres. If you don't see what you are after please contact us as we can get pretty much anything! We have been involved since the start of mountainboards so can always help to get old boards up and running again. This DVD from the MVM Team gives an insight into the USA as mountainboarding was expanding fast with events all over. Issue MVM 5 is awesome bit of history. Vector trucks gone loose and wobble then the pivots probably need replacing? Simple upgrade but these only fit the MBS Vector Trucks not skate trucks. If you have mbs skate trucks and are getting wobble or hard to steer on old trucks then check the wear on the pivot cup. Simple to replace but makes a big difference in ride. These are the replaceable wearing bushings for the kingpins in the matrix pro trucks and also the new matrix II bushings. 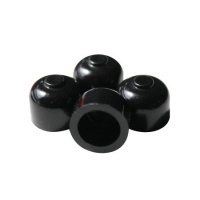 Standard truck bushings for MBS Mountainboard skate trucks. Replace worn ones or change the stiffness of turning in your trucks. Fit most makes not just MBS and come as a pack for a board. 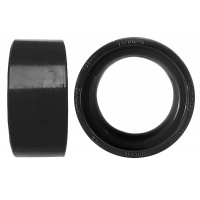 Standard wheel bearings for your mountainboard from ourselves. 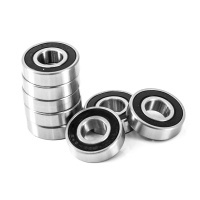 Come as a pack of 8 bearings and fit most brands but consult the bearing size chart to check fitment. 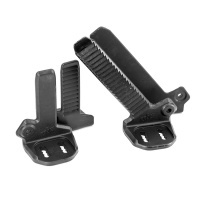 Broken your F4 or F5 bindings ratchet buckle then this is what you need! Easy to replace and gets your bindings back and working again. Comes as a single buckle. Its not an exciting purchase but unfortunately accidents do happen. 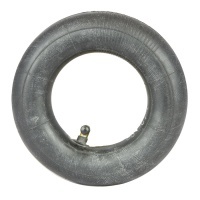 These mountainboard inner tubes are perfect for keeping you rolling on your kite or mountain board. Accidents happen and ladders wear out on your bindings, grab a new set to freshen up or repair your F5 Bindings. Comes as a full set of 4 Ladders. 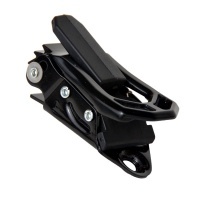 The top hangers on the mbs matrix trucks are made to snap in accidents and are easy to replace if the worst happens. Sold each hanger in cool colours or standard black. 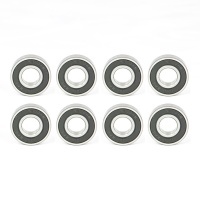 The MBS bearings are the same as MBS use in their complete mountain boards. 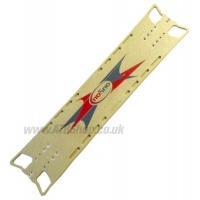 They come in 9.5mm and 12mm sizes and fit most kite and downhill boards we sell. 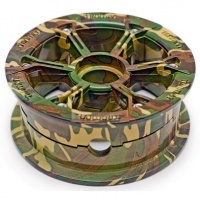 The MBS FiveStar Hub is the new redesign of the old trispokes. Fitting 8in and 9in tyres and sharing the similar design to popular rockstar hubs. 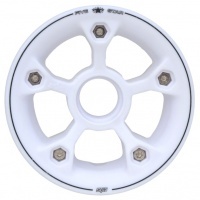 The MBS RockStar II hub white is a solid two piece hub for using on your kiteboard, mountain board or dirt scooter. Great strength for the weight and versatility. Sold as Each Hub. 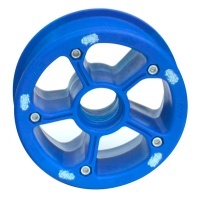 The MBS RockStar II hub Blue is a solid two piece hub for using on your kiteboard, mountain board or dirt scooter. Great strength for the weight and versatility. Sold as Each Hub. Trampa's redesign on the eggshocks gives you the Trampa Dampa. Slightly longer and wider they do fit other brands of truck but work best in Trampa's channel trucks. The MBS Roadie Tyre is designed for roads or skateparks when you want maximum speed with minimum grip. Perfect for hard surfaces but no use in the mud! Sold Individually. 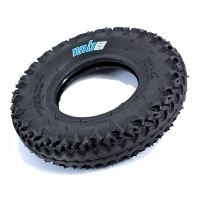 The T1 Tyre from MBS is an 8 inch (200x50), super light and fast mountainboard tyre designed for racing. Great grip with smoother sides and fast acceleration. 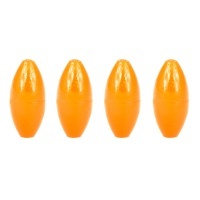 The MBS Egg shocks are a stiff plastic dampening system to fit inside your spring / channel trucks. Available in different duros so you can have a firmer or softer ride. 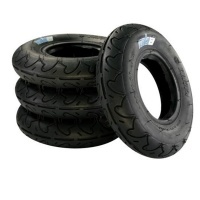 Tough gripping tyres to get a better edge when kiting or hold the corner tighter in the wet the MBS T3's make a great kite freestyle or freeride tyre for the woodland tracks. 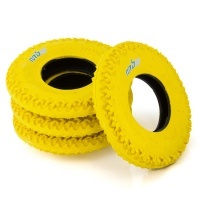 The MBS T3 tyres in yellow are durable & fresh looking 8" tyres which work really well on kiteboards & mountainboards due to the increased tred on the edge of the tyres. These are the standard wheels on the Raid Assassin and also the older Scrub Psycho. 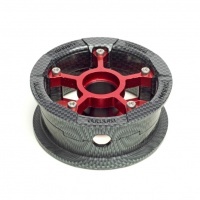 Fits 8in 200x50mm tyres and come with 12mm bearings fitted. Sold Each Hub. Trampa Matt Grey 6 spoke Hypa Hub is our favourite hubs for landboarding where keeping things weight light without compromising the strength. They look great too! 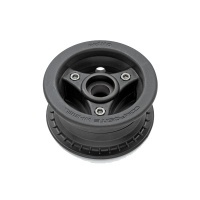 Trampa Matt Black 6 spoke Hypa Hub is our favourite hubs for landboarding where keeping things weight light without compromising the strength. They look great too! 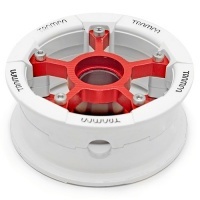 Trampa Matt White 6 spoke Hypa Hub is our favourite hubs for landboarding where keeping things weight light without compromising the strength. They look great too! 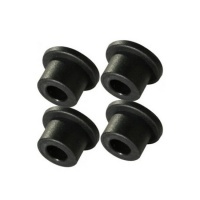 These are the new bushings for the Matrix II and Matrix 2 Pro trucks. Come as a set of 4 to do both trucks. Trampa Gloss Black 6 spoke Hypa Hub is our favourite hubs for landboarding where keeping things weight light without compromising the strength. They look great too! 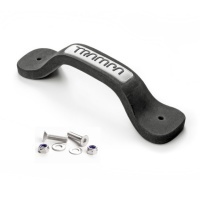 The Trampa Kiteboard Grab Handle is perfect for your board offs or just carrying the board when flying the kite. Very useful for kite boarders on any brand of board. 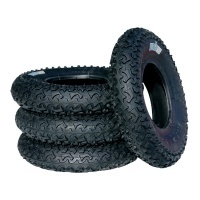 These are the Big Chunky 9in Freeride Tyres from MBS. Needing a larger innertube and fitting the larger hubs. 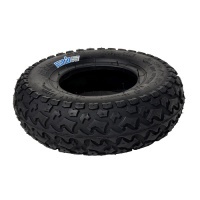 Smooth out the rough surface or give more float in muddy conditions. Made from motorcycle tire rubber, the Trampa Treads are slightly heavier but much more hard wearing than other mountainboard tires. 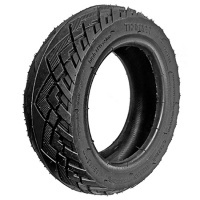 Great if you wear out tyres a lot. 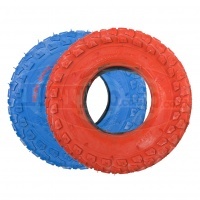 Sold each tyre without tube. The Primo Alpha Light tyres are popular with downhill and kiteboarders as they are super light and have great grip and controlled slide properties. The Primo Composite hubs are the strong tough hubs ideal for 9 and 10inch tyres. 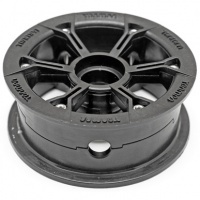 Sold individually they also fit mbs brakes and most board brands for a more solid wheel. The Innova Slickcut tyres are a smooth high pressure high speed tyre with minimal grip. Fast on smooth surfaces like skateparks and street. Max pressure 75psi and 200x50mm size. 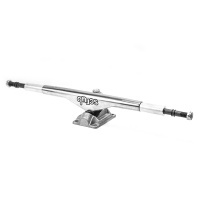 The classic silver chrome mountainboard springs. 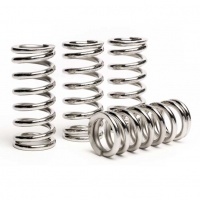 These fit pretty much every mountainboard that need springs in the trucks. 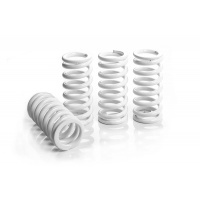 Sold as a set of four springs. 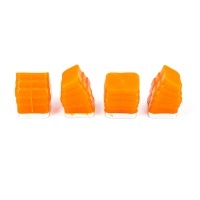 This a replacement plastic top truck block for the MBS Matrix II trucks. Sometimes crashes happen and the plastic gives way. Bolt on a new block and back and riding! 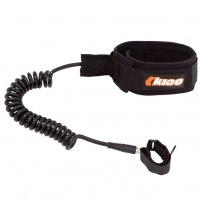 This is the standard coil leash made by kheo which is required and recommended when you ride your board with releasable bindings. Stop those run away boards with a coil leash. 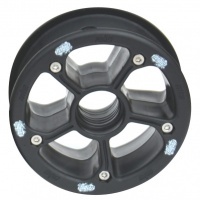 Trampa White with Black logo 6 spoke Hypa Hub is our favourite hubs for landboarding. Keeping things weight light without compromising the strength. They look great too! 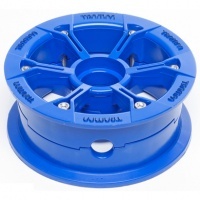 Trampa Blue 6 spoke Hypa Hub is our favourite hubs for landboarding. Keeping things weight light without compromising the strength. They look great too! 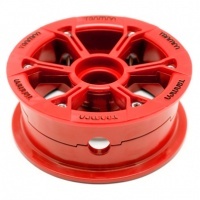 Trampa Red 6 spoke Hypa Hub is our favourite hubs for landboarding where keeping things weight light without compromising the strength. They look great too! 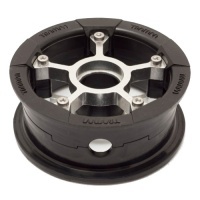 Trampa 6 spoke Hypa Hub is our favourite hubs where keeping things weight light without compromising the strength. They look great in Winter Camo. 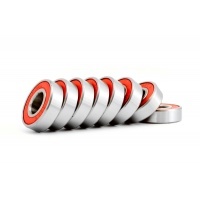 Trampa Reds bearings are perfect for any 12mm axle mountainboard and are super smooth bearings to get you moving at speed. Trampa 6 spoke Hypa Hub is our favourite hubs for landboarding where keeping things weight light without compromising the strength. They look great in Army Camo! 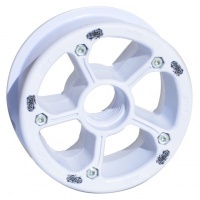 Bling up your channel trucks with the white Trampa Springs! look awesome with some red or bright coloured dampas. Same size and strength just a cool white finish. 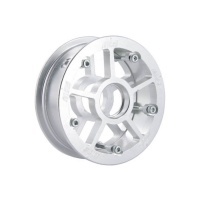 This is a single silver Rockstar Pro Aluminium hub. Ideal for replacing a broken wheel instead of buying a whole set. Trampa 6 spoke Hypa Hub is our favourite hubs for landboarding where keeping things weight light without compromising the strength. 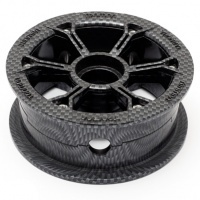 This Carbon Fibre Print looks awesome! 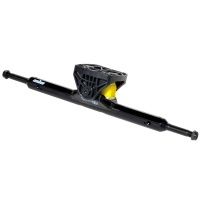 The trampa black mountainboard springs as popular on mbs boards. 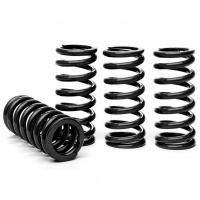 These fit pretty much every mountainboard that need springs in the trucks. 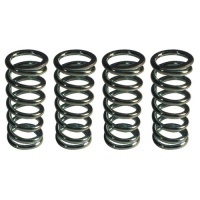 Sold as a set of four springs. The new ATS 12 Trucks are the logical progression from the older MBS Skate Trucks. Now 12mm Axle for increased strength and can use the standard bearings. The Trampa Urban Treads tyre is perfect for urban riding especially on electric boards. 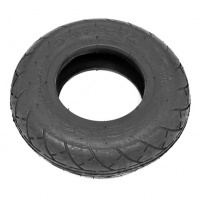 Smaller than the standard 8in tyre it gives fast acceleration and can be run up to 85psi. 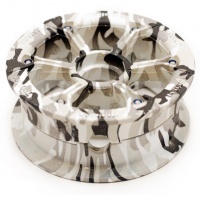 Trampa 125mm Gummies Tyres convert your mountainboard into a longboard, allowing the most insane turns and carves that you would not have thought were possible. Use your board on the beach? or go through a lot of bearings? 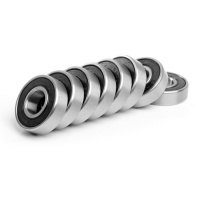 Then the Trampa Stainless bearings are ideal for you. They are expensive but very worth it as much higher grade and don't rust. 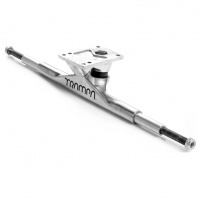 Trampa Skate trucks with titanium kingpin to reduce the weight of the trucks and increase kingpin strength. Great performing truck without a big price increase. 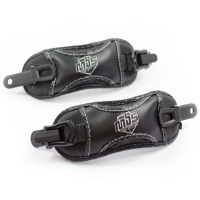 The MBS F5 Heelstraps are a big upgrade from the old ones and come with a camlock and ratchet and work with most bindings with angle bracket attachment and strap you solidly on the board. 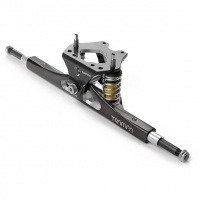 Titanium Axle and kingpin makes the truck super light. 10mm axles that fit mbs or trampa hubs. Standard fitment for any 15 degree decks. Sold individually. 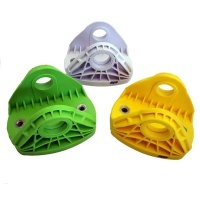 The MBS Ratchets have now evolved into the F5 the latest innovation in ratchet bindings! 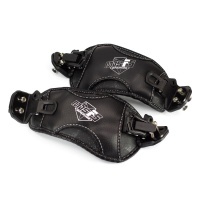 Now better at fitting smaller feet and adjusting but also designed to fit heelstraps. The super supportive bindings kite landboarders have been asking for. As supportive as ratchet bindings without the ratchet getting in the way for kiting. Trampa have a winner! This is the standard truck on Raid Thief and also many scrub channel truck boards like the quasar, predator and furnace creek. Super simple and reliable channel truck. 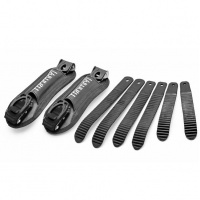 Get clamped down tight to your mountain board with these pro level race bindings from Trampa. Fits all Trampa decks, Mbs decks and many more brands. After years of the original Matrix being copied but never bettered MBS have now released their new channel truck without springs! Simple and lightweight design. MBS have listened and created a metal hanger Matrix II Truck! Now with a stiffer all metal construction it gives perfect solution for jibbers and racers! Sold Each Truck. 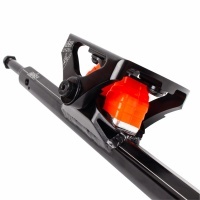 The Trampa Infinity Channel Truck in Black is the standard 12mm sprung truck from Trampa. All the stability and ride of the higher end truck but stronger and tougher. The super tough infinity channel truck from Trampa is a perfect upgrade to many mountainboards. Strong and tough is the infinity with a silver top hanger to stand out. 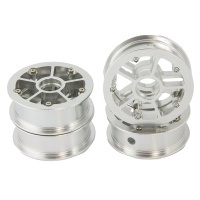 These anodised silver Rockstar Pro hubs from MBS Mountainboards are some of the toughest metal wheels on the market. They fit kiteboards, mountainboards & dirt scooters. 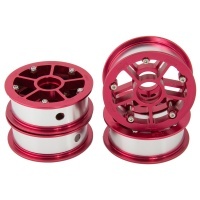 These anodised red Rockstar Pro hubs from MBS Mountainboards are some of the toughest metal wheels on the market. They fit kiteboards, mountainboards & dirt scooters. 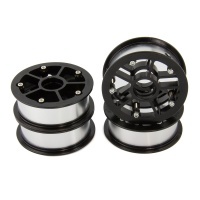 These anodised black Rockstar Pro hubs from MBS Mountainboards are some of the toughest metal wheels on the market. They fit kiteboards, mountainboards & dirt scooters. 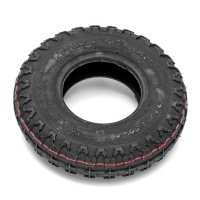 The chunky tyre of choice for most mountainboarders the Primo Striker 9in tyres come as a set of 4 with tubes and fit the primo composite hubs not the smaller 8in tyre hubs. 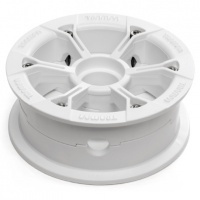 Super bling and super strong that is the Trampa Superstar White hubs. Variety of alloy spoke colours and white strong plastic rims make them super pimp on your board! 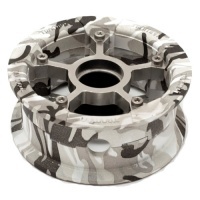 Camo and alloy cores make the Trampa Superstar hubs super cool on any mountainboard and kiteboard but are super strong and tough hubs. 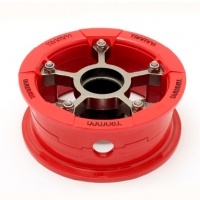 When red is your colour then the Red Superstar hubs from Trampa are the perfect combination for your board. Super strong and look awesome on any board. Super flash carbon printed hubs with the alloy spokes make the Trampa Superstar carbons a real head turner on your board. Super strong while still quite light weight and super pretty. 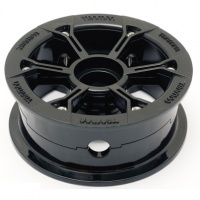 The Trampa Superstar Black Hubs have the aluminium spokes for strength and reinforced plastic rims for durability so the best of both worlds. Super pretty and high performance. 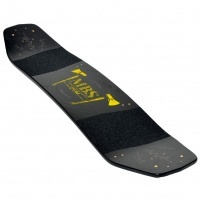 The top level mountainboard deck from mbs. The Dylan Warren DW2 Pro 97 is the deck of choice for fast hard riding racers and freestylers. 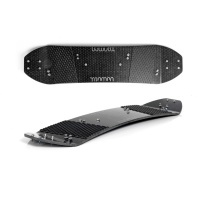 The Trampa 15 degree decks are designed for skate trucks and make ideal mountainboards and kiteboards. Get the thickness to give the flex you want from your board. The Trampa 15 degree short kiteboard deck is slightly different shape to the mountainboard version to give a bit more flex. Great with some skate trucks for a custom kite landboard. The MBS Pro90 is the top level pro kiteboard deck. 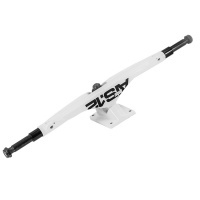 Super light and smooth flex it's perfect with skate trucks and bindings. Our personal favourite with real bamboo finish. 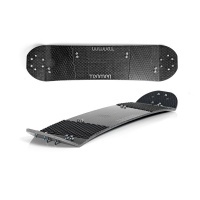 The 35degree short mountainboard deck by Trampa is ideal for shorter riders that want channel trucks but in a compact size board. Ideal for freestyle kiteboarding. Slightly smoother shape than the mountainboard version the kiteboard trampa 35 degree short deck makes an ideal short channel truck based kiteboard 89cm long. 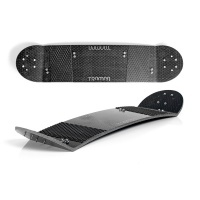 The Trampa 35 degree long board is the competition mountainboard of choice for many riders. Still only 96cm long it's a great size and available super stiff for the race track. The longer 35 degree kiteboard Trampa deck is perfect for landboard speed runs on channel trucks. At only 96cm long it's still not too long to be agile. 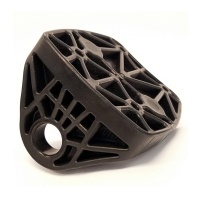 The swiss cheese style trampa for the downhill boarder that want's the stiffness but to save the weight. This has been cut away everywhere that isn't needed to get maximum performance. Designed and ridden by world champions to give the performance they require. 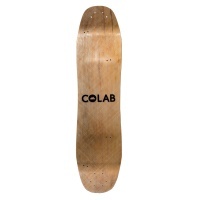 Colab 97.5cm mountainboard deck is the perfect boardercross and freestyle deck. 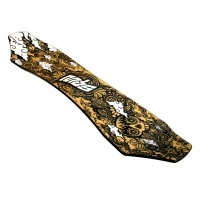 Rubber Griptape Deck Pads for mountainboard or kiteboards. 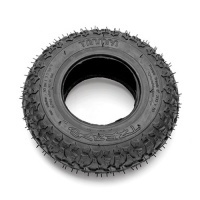 Ideal in muddy or sandy conditions. 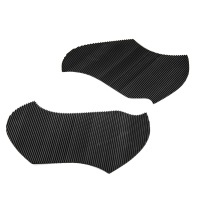 Comes as a pair of self adhesive rubber pads that can be cut to shape. 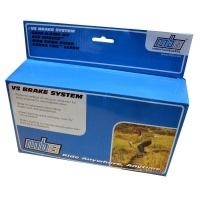 Want to use the MBS V Brake with your alloys? Then you need these simple spacer to get the discs to fit correctly. These are the old fashioned retro bungie heelstraps from Bluearth. 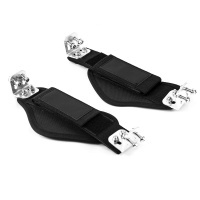 Please have caution using these straps as they can increase the chance of ankle injuries. 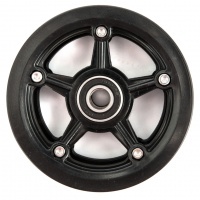 The MBS RockStar II hub black is a solid two piece hub for using on your kiteboard, mountain board or dirt scooter. Great strength for the weight and versatility. Sold as Each Hub. 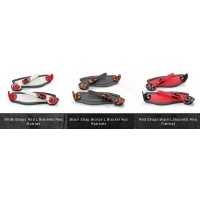 The Bluearth Pro Velcro bindings are shaped velcro bindings similar to scrub and mbs. Great for kiteboarding or upgrading old bindings. 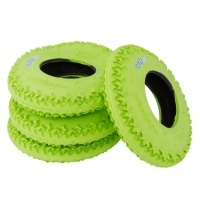 The MBS T3 tyres in green are durable & fresh looking 8" tyres which work really well on kiteboards & mountainboards due to the increased tread on the edge of the tyres. 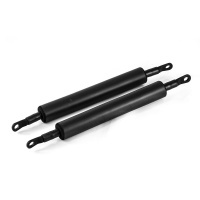 If your channel truck springs are bust or starting to wear the MBS black springs are a great replacement. 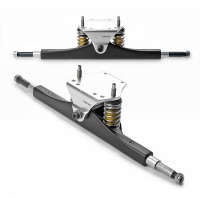 Give your trucks a new level of stability. If blue is your colour of choice then now Trampa offer their Abec5 bearings with blue shields instead of red! 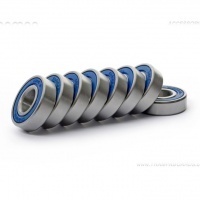 Great bearings for your 12mm axles in blue. Want a splash of colour on your dull trucks? Then red springs might be the answer. 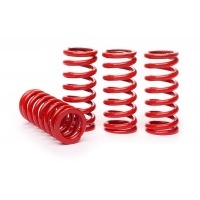 Same size and strength as all other springs but in a cool red finish. 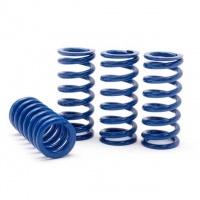 Love blue and need new springs your mountainboard then the Trampa blue springs are just what you have been waiting for! Same strength as the other springs just Blue finished. 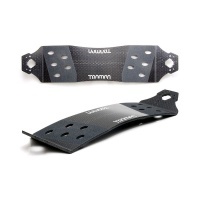 The Trampa Mountainboard Heelstraps keep you locked into your board over jumps and in fast cornering. 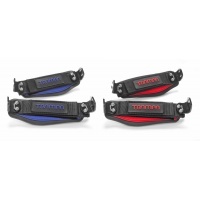 The Trampa heels have a ratchet and a lock so you can adjust them easily. 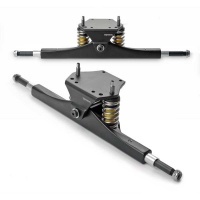 The Pro new redesigned Matrix channel truck without springs! Simple and lightweight design. 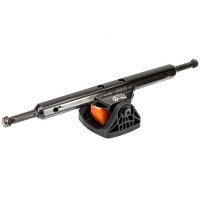 Comes with hollow axle and harder shockblocks. 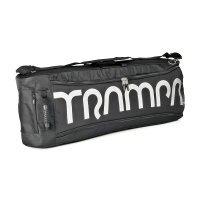 The Trampa Travel Mountain Board bag is a great slimline travel bag for carrying your board to and from location. Well padded and decent straps give the bag a premium feel. Want to fit brakes to your MBS mountainboard? This kit fits all mbs boards that have the screw holes on the end of the trucks. Great for fire roads and single track riding. 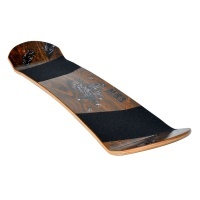 The MBS Core 94 Mountainboard deck is a great upgrade for many entry level boards with plain wood decks. This has fibreglass and maple construction and awesome for kiteboards. 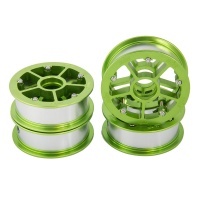 These anodised green Rockstar Pro hubs from MBS Mountainboards are some of the toughest metal wheels on the market. They fit kiteboards, mountainboards & dirt scooters. 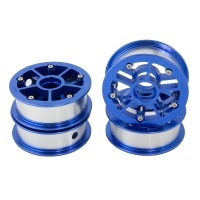 These anodised blue Rockstar Pro hubs from MBS Mountainboards are some of the toughest metal wheels on the market. They fit kiteboards, mountainboards & dirt scooters. The new MBS Comp 95 Birds deck is a total redesign from the older decks and has a whole new concave design and will breath life into any mountainboard. The pro level deck from noSno is the Custom. 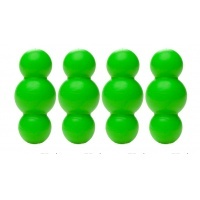 Pick the size and thickness to match your height and weight for best response and ride.